Carnival game Ring Toss. 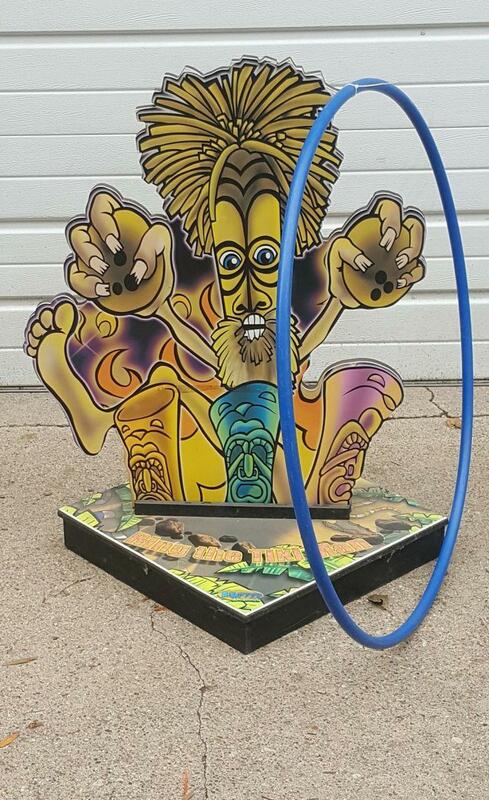 It is a life size version of a classic hoop toss game at over 3 ft tall!! Players toss the hoop in an attempt to "ring the tiki man" and land the hoop completely around the platform box. Includes: Tiki man, platform box & 1 hoop.